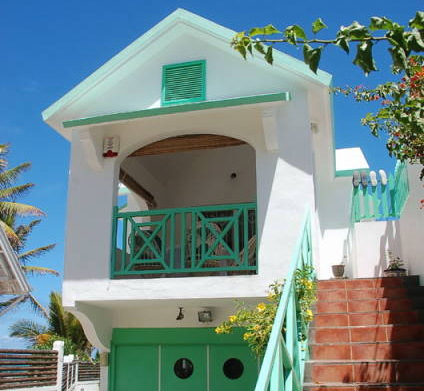 Jonash - our creole style bungalow-apartment is found directly on the beach in the beautiful and quiet community of Pointe d'Esny on the south East coast of the island. Our bungalow is devided into two parts: a very comfortable, fully-equipped apartment on the upper floor and a small studio on ground level. Each one has its own seaview - terrace. The property is surrounded by a tropical garden and is full of colourful hibiscus, bougainvillea and Frangipani flowers. a superb beachfront hideaway; surrounded by a lush tropical garden. It is air-conditioned, has a fully equipped kitchen, a king-size double & single bed, a separate private bathroom and an excellent veranda (with dining table & chairs). The apartment has a spacious balcony area; great for dining whether it is breakfast or dinner & there is a beautiful view of the sea on offer. 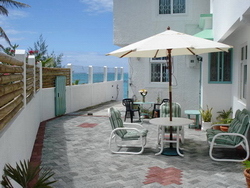 The drive leading up to the balcony is also secluded, attractively planted and well maintained. 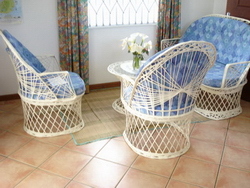 The walkway to the beach is private and guests may choose to dine or relax here also. The apartment has one bedroom with a double and a single bed and is capable of providing accommodation for 2 adults and 1 child. The bedroom has a dressing table, wardrobe and a seaview. 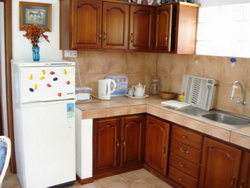 There is a well sized & equipped kitchen with a gas cooker, fridge, microwave, kettle, toaster and ample cutlery. Ironing facilities are also available. Adjacent to the kitchen is a seating/ lounge area with a television and radio. There is also a small alcove dining area. 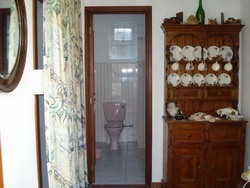 The bathroom has a toilet, basin & gas shower. 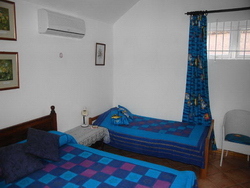 The Studio which is just below the apartment has its own private entrance, own bathroom & toilet. It's a double bedroom & adjacent living/ dining room. There are no real cooking facilities; there is a microwave, kettle, fridge & toaster for making breakfast. The studio is not airconditioned, but has an electric fan. It is equipped with an LCD TV. A free WiFi Internet connection is available throughout the property. with security grills along with a burglar alarm and a room safe. Prices are per apartment/ day. 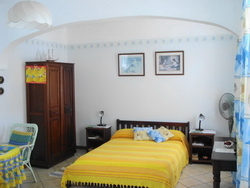 Room cleaning (3 x a week) and WiFi internet included. 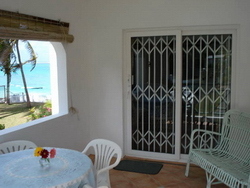 Breakfast is optional for the Studio and 3 Euros per day/ person; the Apartment is self-catering. 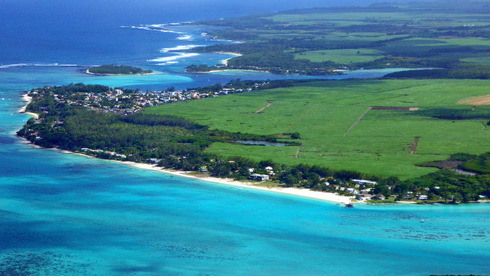 The nearest restaurants / pizzeria are in Blue Bay (10 min) and can be reached easily on foot. 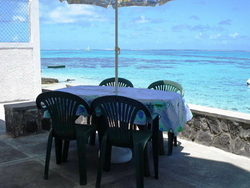 There are also nice, small restaurants in Mahébourg and the surrounding area, which are about 5 km away. Public transport to Mahébourg and Blue bay (bus and taxi or walking on the beach) are available the whole day between 7.30 and 18.00. Some Restaurants also offer a free pick-up shuttle service. 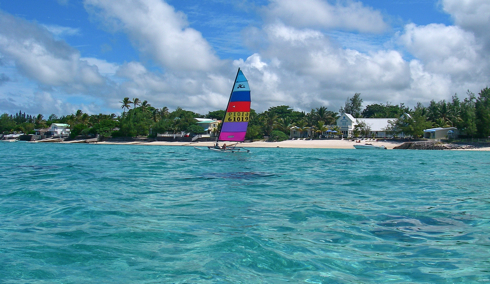 Special rates for longer stays (>15 days) & packages available; Just send us an eMail! After walking down our private beach access, you´re immediately ready to explore our snow-white sandy beach, the lagoon and the reef. 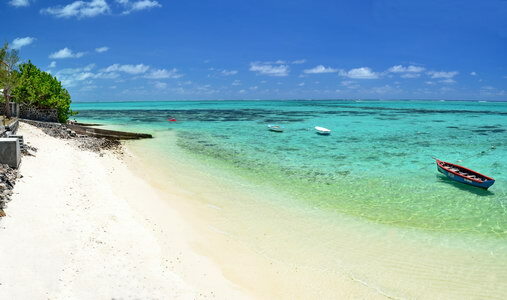 There is also a nice coral patch just in front where snorkelling lovers will enjoy swimming amongst colourful fish and discovering the different types of corals. 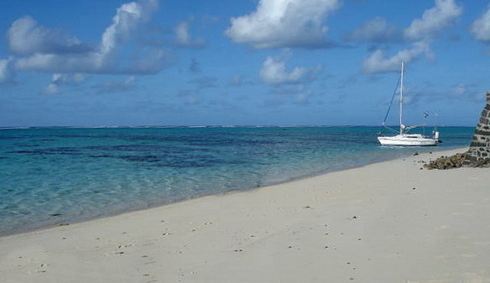 Come and discover your apartment on the beach… !